The auditions are over now, and the organizers of the 2017 Miss Nigeria beauty pageant are set to announce the 37 semi finalists. 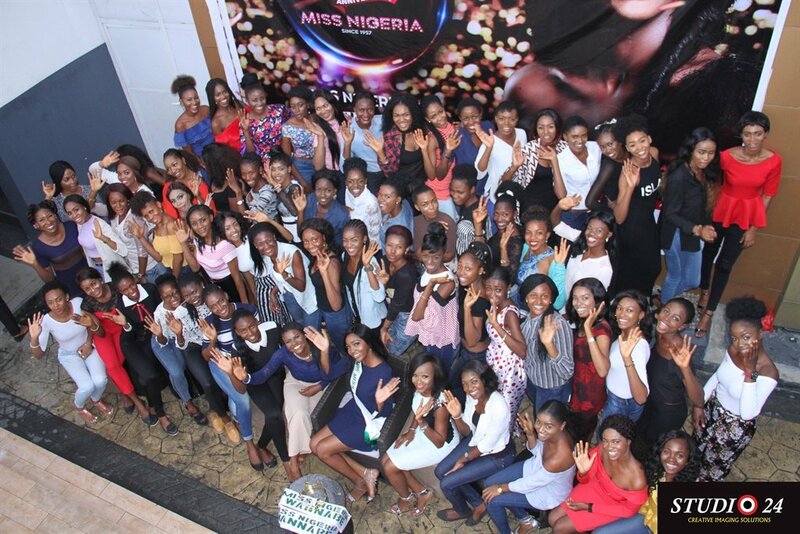 Nervous young ladies gathered in Lagos, Abuja and Port Harcourt to see if they would make the final cut for the Miss Nigeria pageant. Over a one week period the physical and mental abilities of these young ladies were put to the test under the stern and watchful eyes of George Okoro (photographer and lifestyle magazine publisher), Adama Indimi (CEO Reign by Adama Lashes), Ogugua Okonkwo (CEO Style Temple), Andy Ogbechei (Creative Director, A-Squared) and Enyinne Owunwanne (CEO, Times Multimedia - organisers of the Miss Nigeria pageant) who gathered to judge the pretty faces who had assembled. The contestants went through the rigors of auditions at the Transcorp Hilton Hotel in Abuja on November 7th, followed by a stop over at Port Harcourt on Thursday November 9th and the final stop in Lagos where the ladies came out to ‘rep’ Nigeria's commercial centre. The final hurdle will have the judges announce 37 semi-finalists, who will be revealed in a special Instagram Live Session with the grand finale set for Thursday December 21st 2017 at the Eko Hotel and Suites, Victoria Island. The 2017 edition marks the 60th anniversary of the Miss Nigeria pageant which began in 1957.